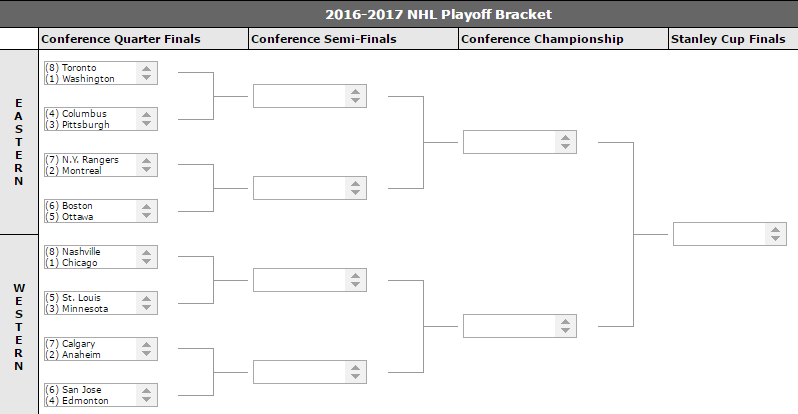 Welcome to our 2017 NHL Playoffs Bracket Contest which is free to enter for all supporters of our site! We are really looking forward to the Playoffs this year with 5 Canadian teams qualifying (none did last year). We’ve had a great season with our tips (+21 units posting our opinions on pretty much every game) and we wanted to offer up something to all those who support this site. Thanks to everyone who’s been following us on social media, joined our email list or visited our sportsbook sponsors which enables us to continue to post our free daily picks. Without your continued support this site wouldn’t exist. There is $525 up for grabs in this contest. There will be 10 paid places which should offer excellent value to all who’ve entered. *Prizes are intended for sports betting online. The best transfer option will depend on which online sportsbook you use. There is a tie-breaker question for the Final which we’ll use to break any ties in the contest. Below is the bracket – you must fill it out in it’s entirety before the playoffs begin on April 12th at 7pm ET. Entrance to the contest is free. All you need to do is like our Facebook page and join our email list. A lot of you reading this page have already done both so you’re eligible to join. Just join the contest below and contact us with your handle. Note: please join the email list with the same email address you use to join the contest. You can also get an entry – or a second entry if you completed the steps above – by joining and depositing at least $20 USD (or equivalent) at any sportsbook we recommend below. That means you can get 2 entries in total to this contest. And as a “thank you” for supporting the site we will double any prize money you win in the contest! If you have any questions about which sportsbook to join just use our live chat on this page or contact us. 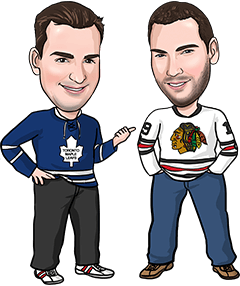 We’re running the contest on Office Pool Junkie which is free and easy for us to track everything.